The construction of our new clubhouse will start very soon at Stevens Road. I promise. I believe you may already know some of the other members — track fault, power fault, aluminium foil balloon, new signalling system, deep-seated cultural issues and, of course, life. It’s a rather exclusive club. Not like Safra where anyone who did national service gets a free one-year membership just because it’s NS50. To become a member of our club, you have to be blamed for MRT’s woes. As part of the media, I received my embossed membership card three months ago after Coordinating Minister for Infrastructure and Minister for Transport Khaw Boon Wan called out the media for “magnifying” the problems caused by the testing of the new signalling system. The figures were frightening, yes, but glamorous? Were the figures parading down the red carpet wearing Alexander McQueen? It was Valentino knock-off at best. Mr Khaw also said the media “were being unfair to the team working their guts out on this re-signalling project”. Your guts must be intact because your team didn’t get the same support from the minister at last Monday’s press conference. He really threw you guys under the bus. Or in this case, under the MRT train. 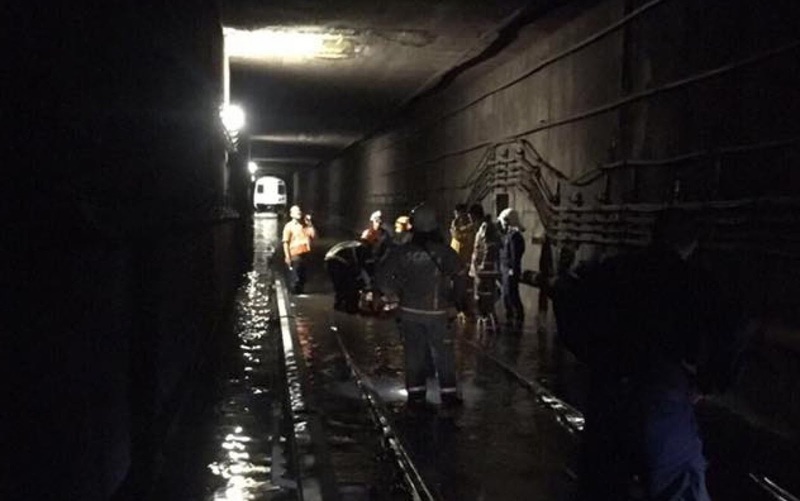 Unless there’s a service disruption due to ponding in the tunnel. In which case, you were thrown under the free shuttle bus. On the other hand, your CEO for five years, Mr Desmond Kuek, blamed the company culture. I wonder if by “deep-seated”, he meant the seat his predecessor, Ms Saw Phaik Hwa, sat on, carried by half-naked men like she was a Maori chief (and not an Egyptian queen as it’s widely assumed) in that meme-ready viral photo. Was that a cultural issue or a cultural appropriation issue? As a former army general, Mr Kuek is probably more used to his balls being carried by uniformed men. After all, Mr Khaw said the ponding could have been avoided if only it had rained a few days later after the water pumps were replaced as planned. It was the rain’s fault for showing up too early. If it’s any consolation, you weren’t the only ones Mr Khaw blamed for the Oct 7 ponding which led to no train service between Ang Mo Kio and Newton MRT stations for 20 hours, affecting thousands of commuters. “But I suppose that is life,” he said. Yes, life was also a scapegoat. And now a fellow club member. So don’t feel too badly. You’re in pretty good company, yours truly notwithstanding. With Saturday’s troubled opening of Downtown Line 3, we’re expecting even more new members. We’re not just a club. We’re a support group. Any time you need someone to talk to, just hit me up on Whatsapp. That’s what I’m here for. Just remember to wipe off your sweat after using the gym equipment. That’s not how I like to exchange body fluids.